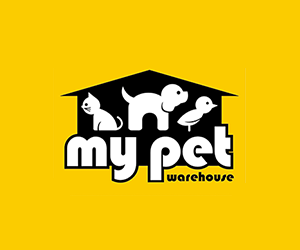 My Pet Warehouse stocks a huge range of pet supplies. Everything from pet food, small animal bedding, dog toys, leads, vet supplies, collars, treats and much more… We stock over 7000 product lines and are always on the look out for new and exciting products pets will love. Some retailers have their own policies and restrictions. Before shopping, please ensure you review the Special Terms of My Pet Warehouse (above) for further information. Complete your purchase in one session and without leaving My Pet Warehouse. Do not click on any bookmarks or advertising banners or links once you leave ANZ Bonus Points Mall. All orders over $49.99 will now be shipped free of charge anywhere in Australia. If your order doesn't qualify for Free Shipping you needn't worry as our $4.99 capped price shipping option provides exceptional value for money. A signature is required to receive all deliveries unless ATL has been provided. Same Day Delivery service not applicable to P.O.Boxes or Parcel Lockers. Goods returned for refund, exchange or credit must be received within 30 business days from the date of receipt and are subject to the following criteria: All goods returned must be in new, unopened condition with all seals intact. ; Used, damaged or soiled returns will not be accepted and will be returned at the customer’s expense; Customers are responsible for freight costs associated with returning goods for refund, credit or exchange (errors excluded). ; My Pet Warehouse accepts no responsibility for loss or damage caused during return transit.